If you have ever undergone an MRI with contrast, you likely used gadolinium. Gadolinium is a type of contrast media used in these tests. Also called a dye or agent, gadolinium is injected into the body to enhance the images in the MRI so that doctors can better diagnose your condition. It can help show inflammation, tumors, blood supply, and blood vessels. Gadolinium is combined with chelating agents to prevent toxicity. The dye is eliminated through the kidneys within 24 hours. Very few people experience side effects of gadolinium contrast. The most common ones are minor, such as headaches, dizziness, nausea, and sensations of coldness. Some people experience allergic reactions, such as itchy skin rashes. However, Gadolinium can be a very dangerous drug for some individuals. 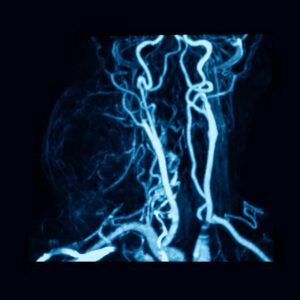 In the past few years, there has been concern of gadolinium retention and how the side effects of contrast dye for an MRI are affecting patients. While it was once believed that the gadolinium would be fully removed from the body in a short period of time, there are instances in which the gadolinium stays in the body. In these cases, only 1% of the gadolinium dose remains in the body, but the gadolinium contrast side effects are harmful because it stays in the tissues, bones, and brain. Once believed to be harmless, this gadolinium retention comes with various symptoms and leads to serious medical conditions. It can lead to gadolinium storage condition, gadolinium deposition disease, and nephrogenic systemic fibrosis. Gadolinium storage condition occurs when a person has been diagnosed with excess gadolinium in their body, but has normal kidney function. Another side effect of gadolinium contrast deposition disease occurs when a person has normal kidney function but experiences persistent symptoms and pain hours to weeks after receiving an injection of gadolinium contrast dye. Symptoms may include pain in the arms and legs, bone pain, and brain fog. Nephrogenic systemic fibrosis is the most serious of the side effects of contrast dye for an MRI. It is characterized by kidney malfunction, tight, thick skin, and shortened muscles. It can be fatal. This disease affects one in 100 people and tends to happen more with those who have pre-existing kidney issues. Those who experience these symptoms after getting an MRI may have gadolinium retention disease. It is important to seek legal help and file a gadolinium lawsuit to receive compensation for your injuries. If you have had an MRI recently or expected to have one done in the near future, you may be at risk for gadolinium contrast side effects. Toxicity can lead to several medical conditions that can lead to pain and persistent symptoms. 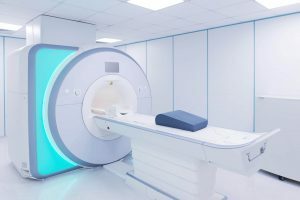 If you think you may be experiencing side effects of contrast dye for an MRI that are indicative of toxicity, seek help from a gadolinium attorney at The Rothenberg Law Firm. We have decades of experience helping those affected by dangerous drugs such as gadolinium seek compensation for their injuries. Our aggressive lawyers can help you as well. Fill out the online form or call 800-624-8888 to schedule a consultation with an experienced gadolinium attorney.